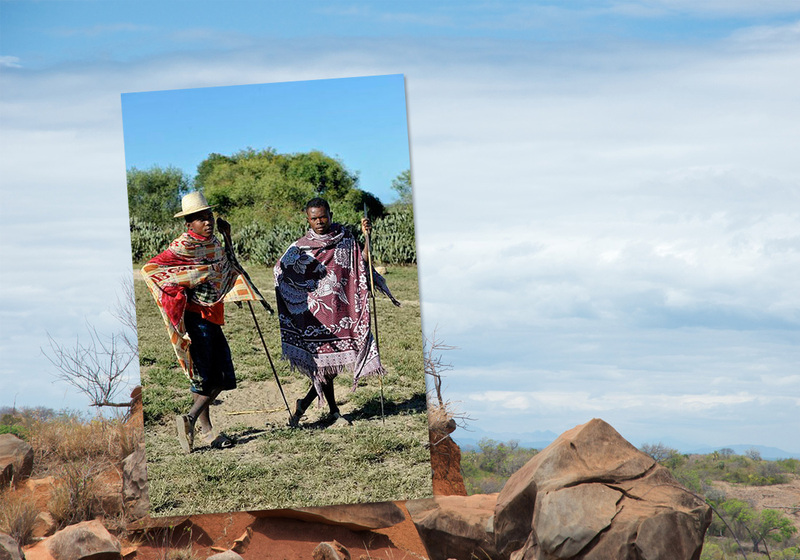 Location and Background: The Antandroy people live in the arid extreme south of Madagascar. The name Androy means “where there are thorns”, “roy” referring to a mimosa plant with long thorns. They have adapted to a very inhospitable environment, covered with thorny bush and frequent severe drought. It is a constant struggle to find water and famine is regular. Their immediate neighbors are the Mahafaly (west), Bara (north) and Antanosy (east). History: Not much is known about the Antandroy history, but according to oral tradition, different clans invaded the area called Androy in the eighteenth century from the east, north and northwest and put an end to the ruling dynasty of the Andriamañare. The Antandroy then divided into many small entities, sometimes uniting their forces against common enemies, maintaining their independence from the Merina until 1903 when French troops aided the Merina government. Culture: The Antandroy are usually tall and strongly built, known for their fierceness and self-assurance. They are a pastoral people, but also cultivate manioc, millet, maize, sweet potatoes, zebu milk, and curd. 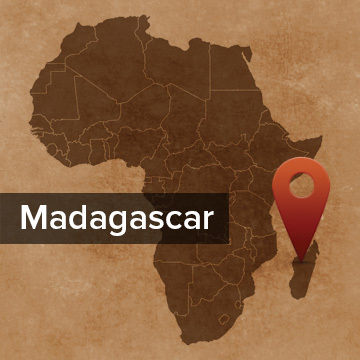 They eat less rice than other Malagasy people groups because of the extreme arid climate of their territory. Their villages are hidden from the main road tracks, often behind cactus fences. In terms housing, whereas most of Madagascar construct homes from pliable plant material, the Antandroy use wood planks. Tomb structure and burial practices are very similar to the Mahafaly people group. Religion: The Antandroy believe the blessings and curses of life come from their ancestors and by appeasing their ancestors, they can reap benefits. They acknowledge that there is a God, but they see Him as distant and inactive in their lives. There is no complete Bible translation available in the Antandroy dialect, but some sporadic translation work appears to have been done.